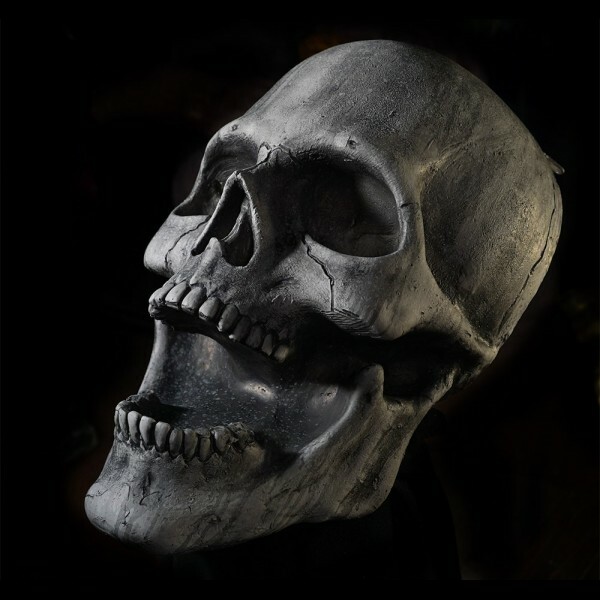 Stone Skull is an impressive giant skull decoration, painted to look like stone, by Distortions Unlimited. 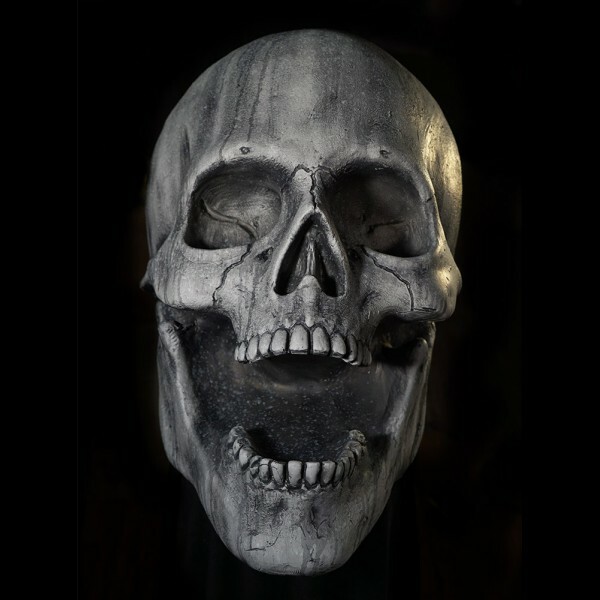 30x18x13 inch, flat backed skull, made of latex and foam, hand painted, with two rings for hanging. 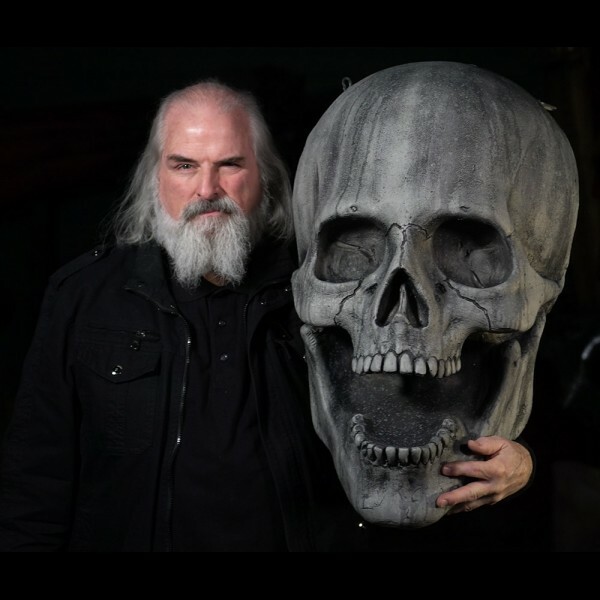 Amazing giant skull prop decoration. *This skull does not include lights in the eyes.